Get great discounts by using the coupons provided on the web site. The company announces the launch of it's new web site. WARNING! What you should know about Direct Repair Program Schemes. 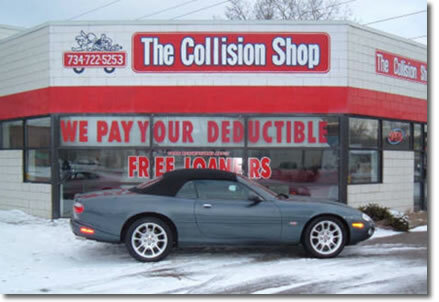 At The Collision Shop of Westland, you will receive the finest quality repairs available. These repairs are made possible only by our continued dedication to the collision industry. We pride ourselves in educating the customer about the collision industry. We want you to understand the repair process to ensure quality customer service. © 2008 The Collision Shop of Westland | info@thecollisionshopwestland.com | Developed by Tashic Web Creations.